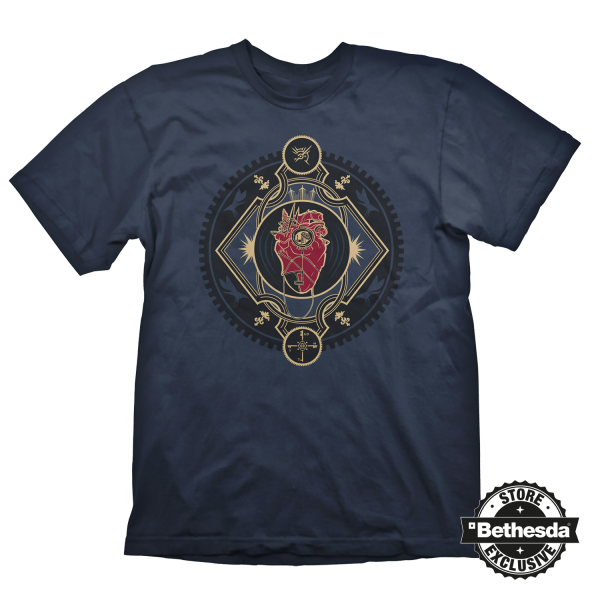 The shirt "Heart" shows the heart, which is given to Corvo (and Emily in "Dishonored 2") by the Outsider, bordered by assassin insignia and the mark of the Outsider, printed in art deco style. High quality silk screen print, 100% pre-shrunk cotton for a long lasting fit, even after being washed several times. Manufactured by Gaya Entertainment.